KALISPELL, Mont. (July 20, 2018)—Frankie Thieriot-Stutes may have one of the best-known faces in eventing. 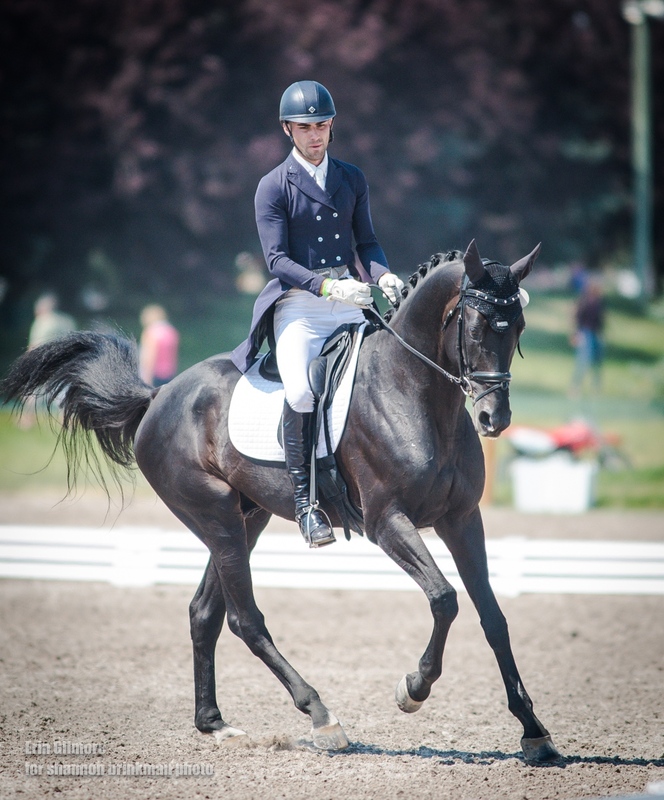 As the leading personality for Ride On Video and a successful competitor in eventing’s international levels, Thierot-Stutes fronts coverage of numerous competitions within the sport, including The Event at Rebecca Farm’s live stream. In fact, Thieriot-Stutes has been so committed to her job, that for the last five years, she has opted not to compete at The Event at Rebecca Farm in order to ensure optimal coverage of The Event. However, this year, Thieriot-Stutes collaborated with The Event’s organizer, Sarah Broussard, in order arrange for her return to the ring at The 2018 Event. Back in the saddle, Thieriot-Stutes is competing in The Event’s top international level, the CCI3*, and she’s finding that multi-tasking has served to improve her performance. “When I have a little more going on, I do a little better, I don’t get so in my head,” commented Thieriot-Stutes after turning in an exceptional dressage score of 26.9 aboard Chatwin, a Holsteiner owned by The Chatwin Group. That score places her in the leading position heading into CCI3* cross-country competition at The Event. Interestingly, she is also the mother of two young sons, who often travel with her, which is the case at The 2018 Event. Somehow, Thieriot-Stutes manages to balance the duties of motherhood, work, and competition gracefully, without breaking a sweat. There’s no doubt that she’s worked hard in every aspect of life to be here, placing her in a strong position as she heads into Saturday’s cross-country phase. Kristen Bond joined Thieriot-Stutes in Friday night’s winner’s circle. Bond rode Liz Bond’s Enough Already, a 21-year-old thoroughbred, to a second place, 30.5-point finish in today’s CCI3* dressage. 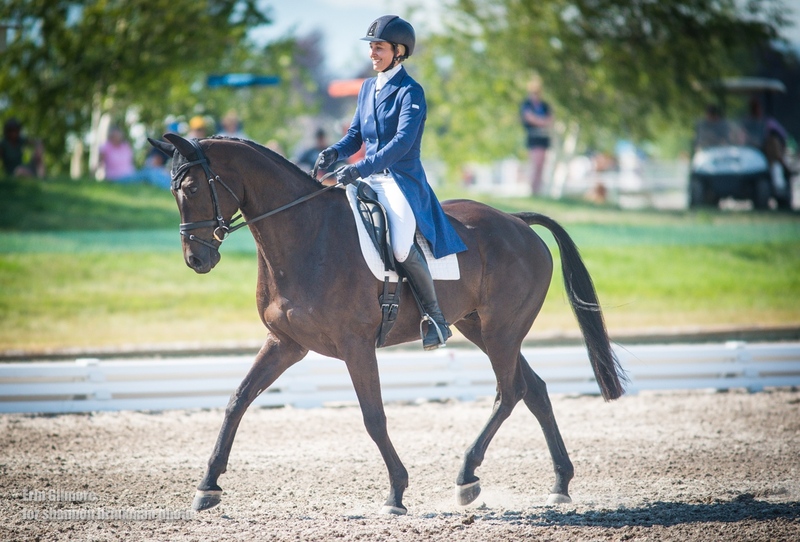 In the USEA Gold Cup CIC3* division, Chris Talley on Hannah Salazar’s German Oldenburg Verband stallion, Sandro’s Star, took the top spot with a 29.3 score. Talley was followed closely by Tamra Smith who turned in a score of 31 aboard Judith McSwain’s Fleeceworks Royal, a nine-year-old Holsteiner. The CCIJ1* team competition for dressage was led today by the Area II team comprised of Haley Carspecken riding Center Stage, Olivia Wall on Mandolin R, Katherine Christopher on Frodo of the Shire, and Maia Kantorowski on Kiltubrid Rebel. The team shared that they, including their equine partners, were feeling excited after completing a strong dressage phase. “Kilturbid Rebel knew where he was today. He put on his dancing shoes,” Kantoroski said as her team smiled on in agreement. Tomorrow’s schedule includes cross-country for international levels and show jumping for national levels. For 2018 Ride Times and Results, please visit www.rebeccafarm.org. Admission for this family-friendly spectator event is free, with full concessions and a large multi-interest trade fair, as well as a free Kid Zone that includes pony rides, PonyUp! (Horsemanship 101 classes for kids), face painting, arts and crafts, and more. A one-time, recommended $10 parking donation per car to support Halt Cancer at X and a full weekend pass is available with a $25 donation. Saturday, July 21, 8 a.m. -6 p.m.
Show Jumping: Open Intermediate. Open Preliminary. Junior Open Preliminary. Training 3-Day, Novice 3-Day. Sunday, July 22, 8 a.m. - 6 p.m. Final Horse Inspection: 9 a.m. The Event at Rebecca Farm features thirteen courses ranging from novice to Olympian qualifier, which were originally developed by world-renowned course designer, Mark Phillips. In 2012, Scottish equestrian Ian Stark redesigned the Rebecca Farm courses. Known for his immense contributions to Eventing, Stark has won multiple Olympic medals and was inducted into the Scottish Sports Hall of Fame in 2010.